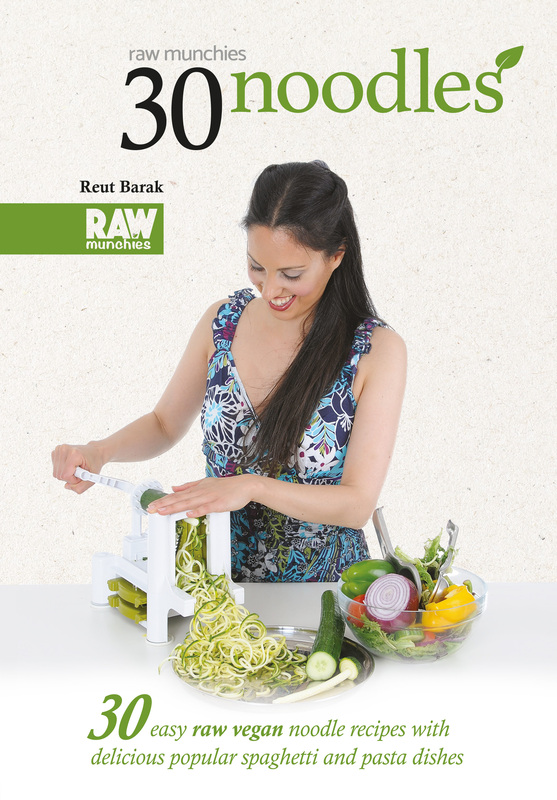 Welcome to the book blast for 30 Noodles by Raw Munchies. It’s a book designed with the raw food vegan in mind. And how can you not love noodles? The author was kind enough to allow me to share a recipe with you, and I went for the meatballs. I mean, meatballs and noodles go together, right? Alternative recipes are always welcome here. Please be sure to check out the recipe and other fun from the 30 Noodles cookbook. Be sure to leave the author a comment and/or question. And of course, if you follow the book tour, you will find even more recipes to try, as well as getting more chances to win the giveaway at the end. The author also has included a bunch of other fun giveaways and resources for you to check out, so make sure you scroll all the way down to the end! Please note that there are affiliate links present in this post. Should you make a purchase through one, I may earn a small commission to help me support my websites, at no additional cost to you. I’m sharing this book because I think many of you will have an interest in it. In a food processor or high-speed blender, blend the Meat ingredients until smooth. In a food processor or high-speed blender, blend the Vegetables ingredients to a rough mix. Mix Vegetables with Meat and create small balls. Dehydrate on a stainless steel or mesh sheet at 108 degrees Fahrenheit (42 degrees Celsius), for 4–6 hours. Serve with your favorite Noodle recipe! Want more? Check out my review and a recipe for Spicy Chicken Curry on my other site here! Reut will be awarding a $20 Amazon or B/N GC to a randomly drawn winner via rafflecopter during the tour. To join the VIP for the webinar: send questions to 30webinar@gmail.com, with the title “VIP” by 17th of May and join the Vip list! Who is your favorite author of all time? Thanks for hosting. I hope that I win. This book would be great for my daughter! She’d really enjoy it!